Ever wonder where the term 420 comes from? Wonder no longer. 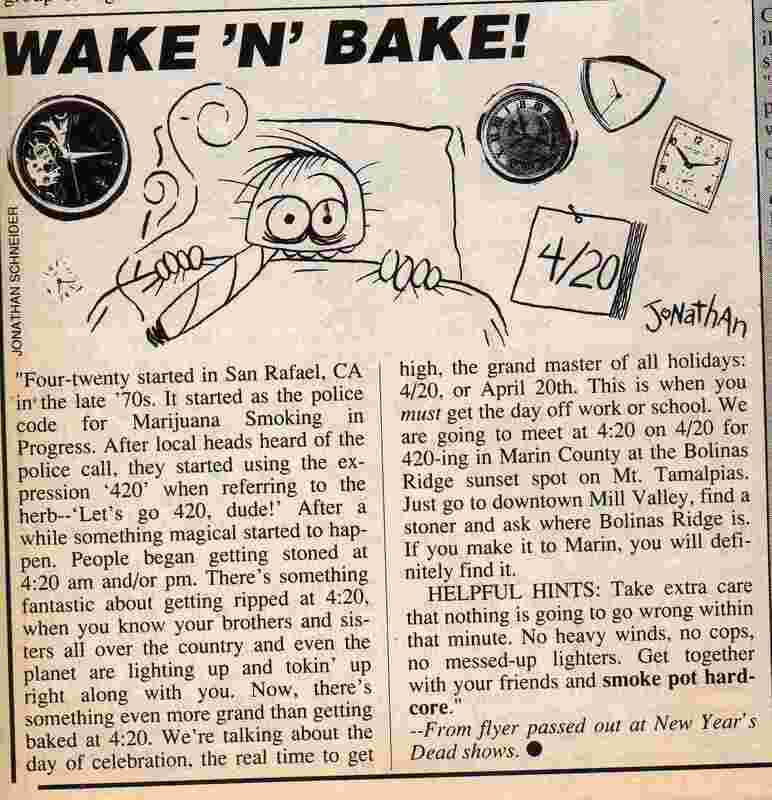 “They said, ‘The fact is, there is no 420 [police]code in California. You guys ever look it up? '” Blooms recalls. He had to admit that no, he had never looked it up. Hager flew out to San Rafael, met the Waldos, examined their evidence, spoke with others in town, and concluded they were telling the truth. Ryan Grim is the author of the soon-to-be-released book This Is Your Country On Drugs: The Secret History of Getting High in America. If you’re mad at Amazon for what they did to LGBT books recently, it’s also available through independent bookstores.